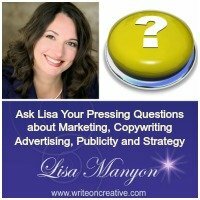 «Ask Lisa: Why isn’t my landing page converting? I invite you to consider how your intuition can help you build your business and write better copy. Our intuition is our 6th sense and often it’s overlooked in business but those who tap in seem to get better results. Have you ever second guessed your 6th sense and then wished you’d acted upon your instincts? This is more common than you might think and more and more savvy entrepreneurs are taping into guidance from the divine. 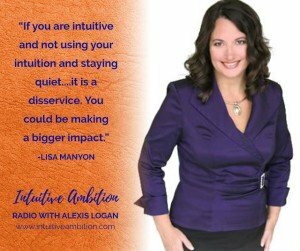 When my friend and colleague Alexis Logan told me about her radio show Intuitive Ambition I was more than delighted to be invited for an interview. Be sure to leave a review and let us know what you thought about this episode. Plus, if you loved the show, subscribe to get the latest interviews and tell a friend about it by sharting this tweet. I’d love to hear your biggest takeaways AND how you’ve tapped into your intuition to make a difference. It’s easy to share. Simply listen to the interview and then post your comments here. If you have not yet accessed your complimentary Copywriting Action Plan to help you map out your strategy and focus on PASSION points instead of pain points, click here to claim it. This entry was posted in Resources and Interviews	on Sunday	November 10, 2017 at 8:37 pm. You can follow any responses to this entry through the RSS2.0 feed. You can also leave a response.